A pictorial tribute to the Neil Armstrong who was the first man to land on the Moon. This is one small step for a man, one giant leap for mankind -Neil Armstrong after landing on moon. It was the first quote from surface of moon. Neil Armstrong, the first man to walk on the moon, was my schooldays hero. I remember that I had pasted many of his photographs in my notebook which were published in newspapers and magazines. As a collector of postal stamps, I always searched stamps portraying this great astronaut, as well as the stamps related to Apollo 11 Mission. I also remember a multicolor wallpaper portraying Neil Armstrong and his colleague Edwin Aldrin setting American flag on the moon. The poster portrayed Lunar Module also, which landed on the moon. This wallpaper was published in India, and was seen in most of the homes, even in the villages in 1970. Millions of Indians listened a running commentary of moon landing on their radios until dawn. Later, a postal stamp portraying the landing was issued by India Post. Apollo 11 was the first mission to land man on the moon. 3 astronauts were sent through this spaceship. Neil Armstrong was Commander of Apollo 11, while Edwin Aldrin was the Pilot of the Lunar Module which landed on the moon. Michel Collins was the Pilot of Command Module. Neil Armstrong was born on 5th August 1930. He was an Officer in US Navy. He retired from Navy in 1960 and joined NASA in 1962. He was command pilot of Gemini 8 Mission in 1966. Because of system failure, the lives of the astronauts in Gemini 8 were threatened and the mission was aborted and the astronauts safely returned to earth. 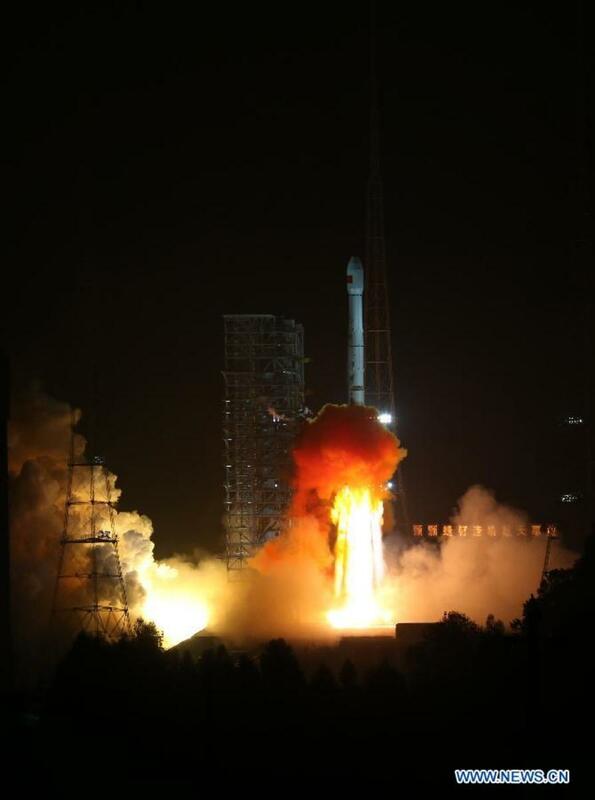 Later he worked as Professor of Aerospace Engineering at the University of Cincinnati. Neil Armstrong will be remembered as a great achiever in the history of mankind. 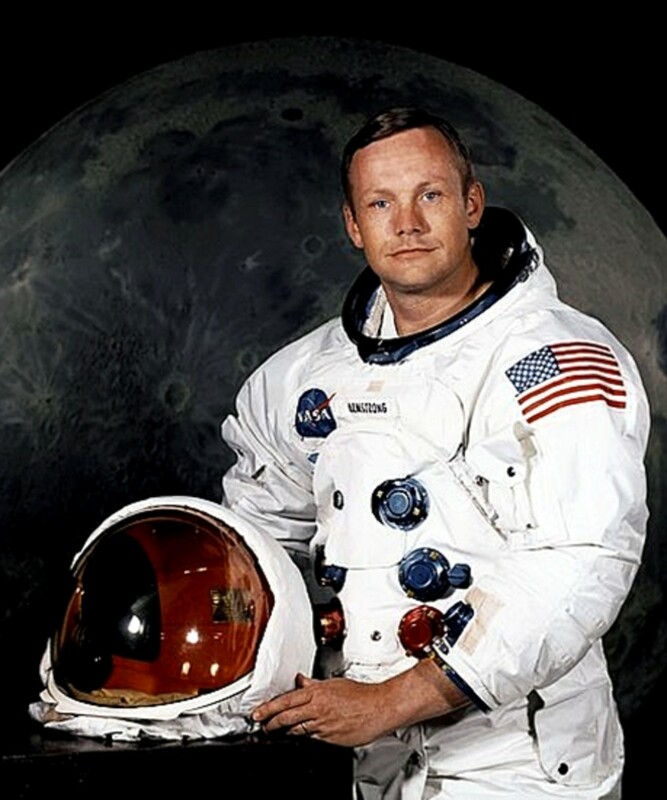 Greatness of Neil Armstrong is that he never allowed himself to become a celebrity. He rarely made public appearances. He avoided cameras. Although he was the first man to walk on the moon, for him it was an achievement of mankind. For him it was just a job given to him by NASA, and he completed it. 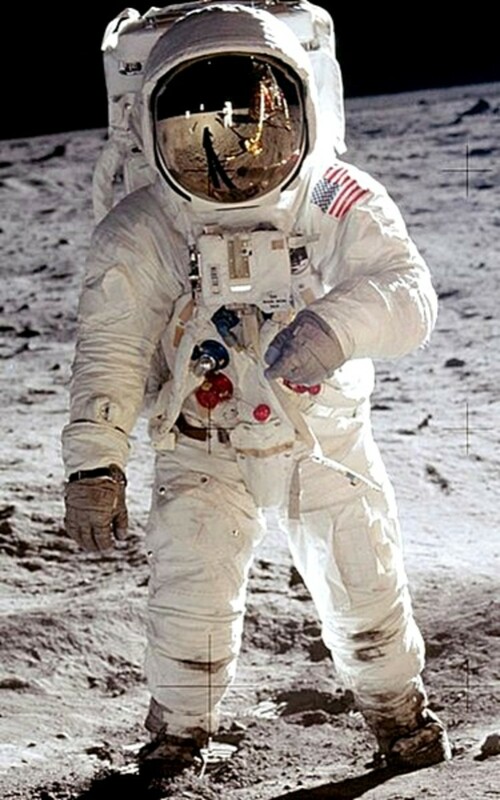 The reason for selecting him as first man to walk on moon was that he did not have a large ego. 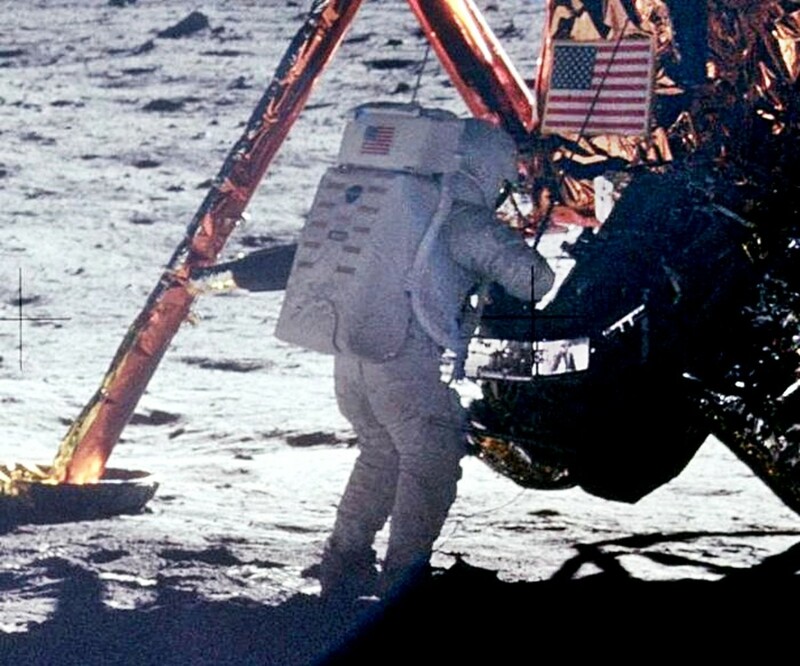 A surprising thing is that, although he was first to land on moon, most of the photographs in which we see an astronaut on Moon, are of Edwin Aldrin. 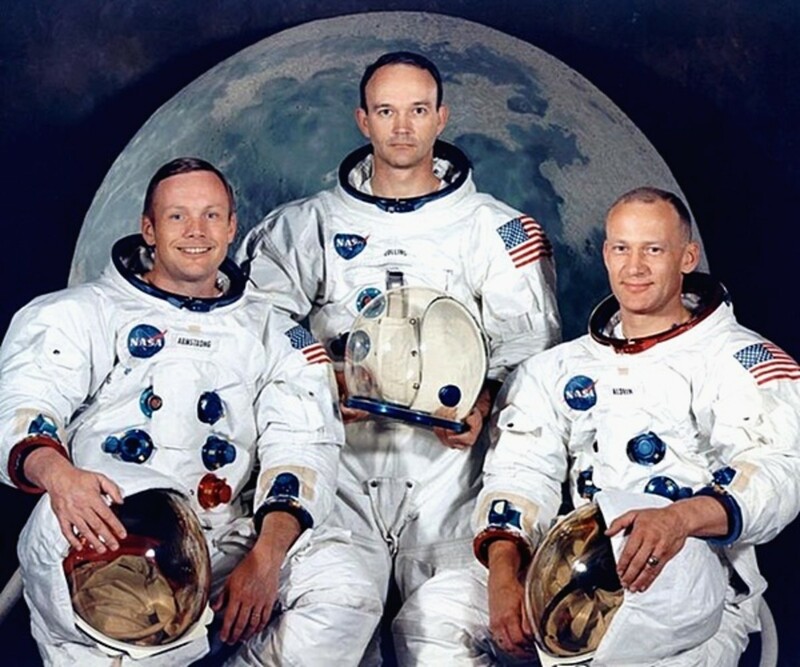 Neil Armstrong played the role of photographer, Edwin Aldrin posed for him. 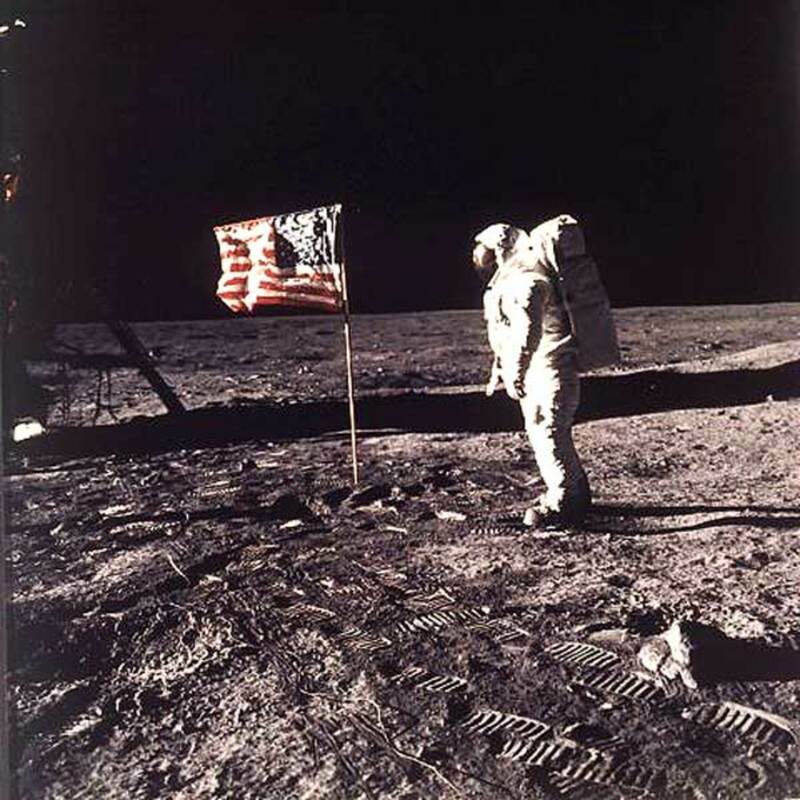 The famous photograph of the footprint of the first man on the moon is also not of Neil Armstrong, but Edwin Aldrin, which was photographed by Neil Armstrong. Indira Gandhi, then Prime Minister of India listened the running commentary of moon landing up to 4.30 A.M. Later, when Neil Armstrong visited India, met Indira Gandhi in New Delhi. When he was informed that Indira Gandhi had kept awake till 4.30 A.M., he apologized for the inconvenient time of landing. What a greatness. 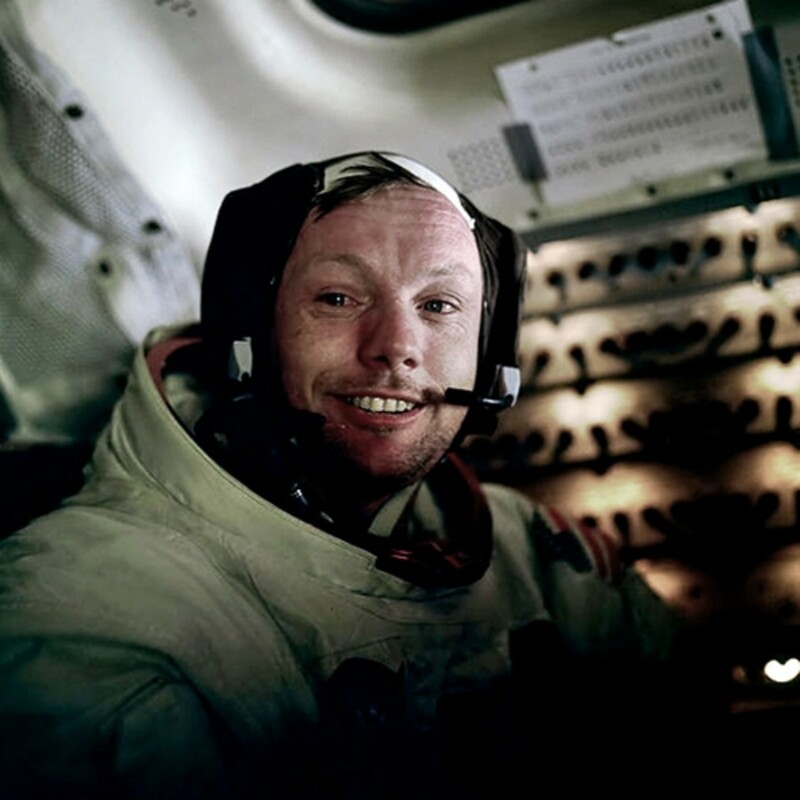 He was approached by political groups to join them, but Neil Armstrong declined such offers. He started to refuse autograph request after 1994, as he found that items signed by him were selling for high amounts, and forged signs were in circulation. He sued Hallmark Cards for using his name and quote without permission. The matter was settled out of court for a big amount of money. Neil Armstrong donated the money to Purdue University where he studied. 1930, August 5: Born at Wapakoneta, Ohio. 1936, July 20: First Airplane Flight experience, when he and his father took a ride in a Ford Trimotor Plane. Note the date 20th July, on same day he landed on moon in 1961. 1945: Earned his flight certificate. It was before getting his driving license. 1947: Began studying Aerospace Engineering at Purdue University. 1951: Served US Navy in Koreas War, flew 78 missions, including 40 combat missions, for which he received 4 medals. 1956, January 28: Married to Janet Elizabeth Shearon. 1957, August 15: First Flight in a Rocket Plane. 1958: Was selected for the U.S. Air Force's Man in Space Soonest program. 1960: Resigned from US Navy. 1965: Selected as Command Pilot of Gemini 8 Mission. 1969, 20th July: Landed and walked on the moon. 1970: Awarded Master of Science degree in aerospace engineering from University of Southern California. 1971: Joined as Professor of Aerospace Engineering at University of Cincinnati. 1979: Resigned from University of Cincinnati. 2012, August 25: Died at the age of 82. 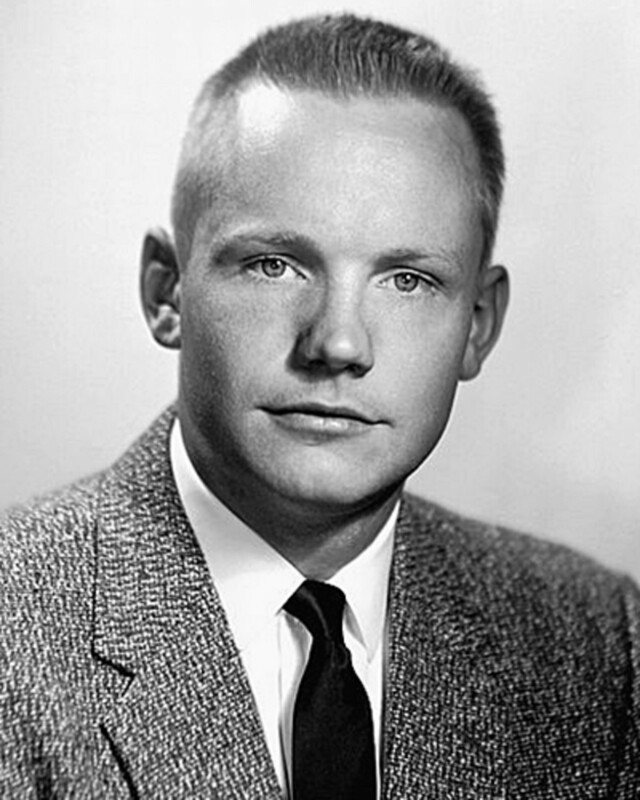 A black and White portrait of Neil Armstrong. 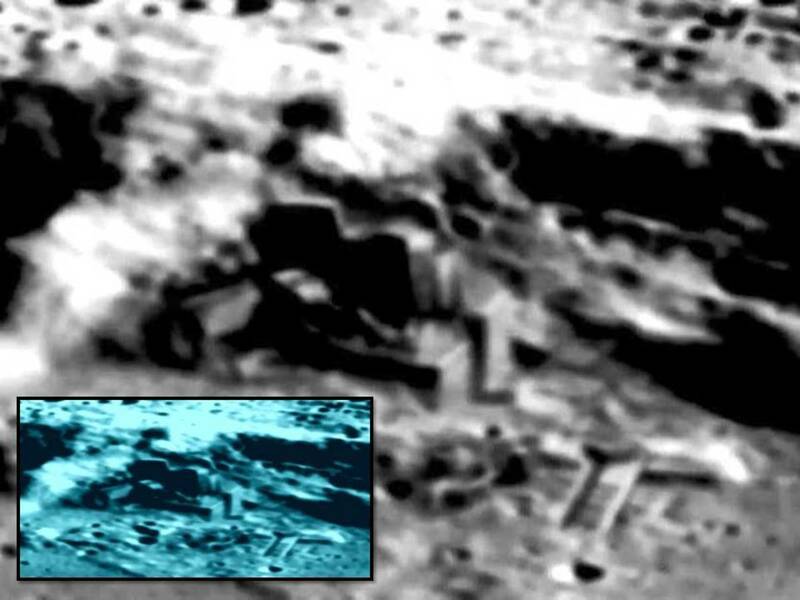 Moon Landing Hoax: What is the Reality? Many people believe that man never landed on the moon, and the said moon landing is just a hoax. What is the reality? 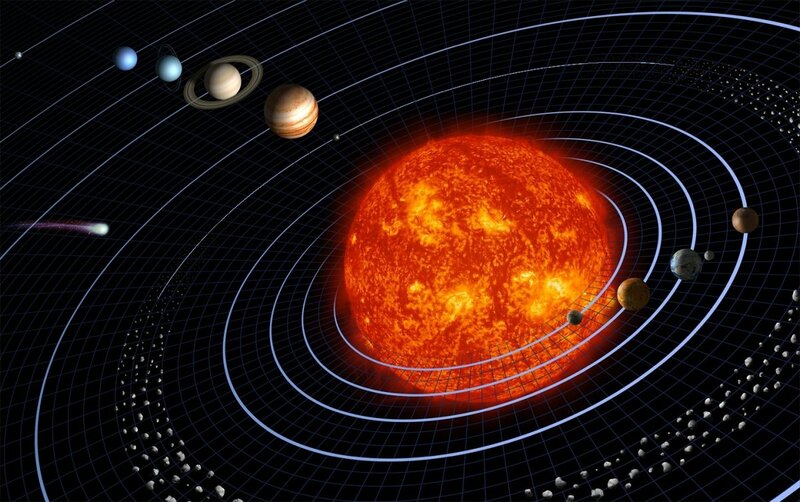 This is a brief introduction to the major events in the history of space exploration, starting from first vehicle entering into space to first landing on the Moon. Many people believe that Aliens visit our Earth regularly. They come through UFOs. But is it true or just a modern superstition? 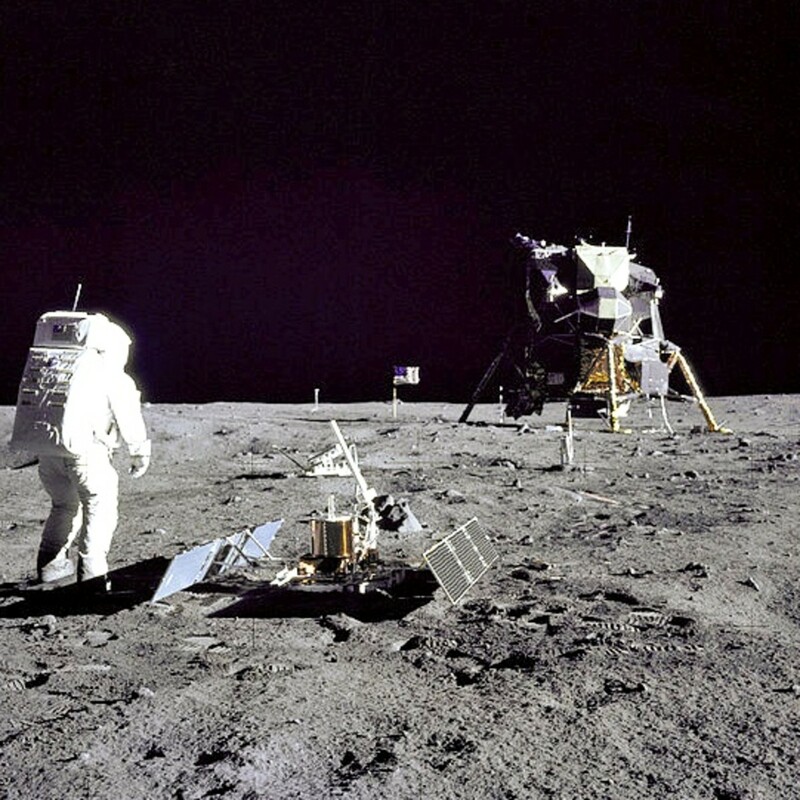 Was the moon landing faked by the U.S. Government? 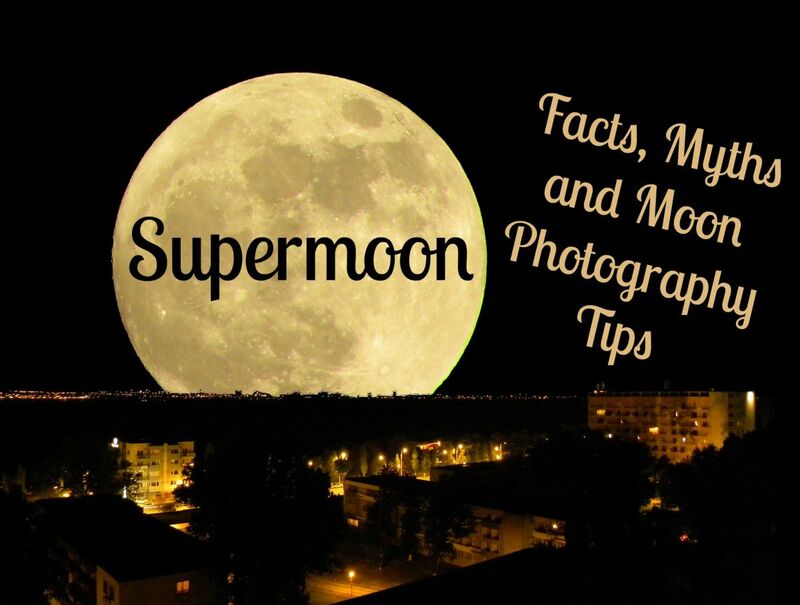 How Does the Moon Affect the Tides? A great tribute to a man that really had an impact on the world, despite not really wanting to. Seems he was modest and generous, definitely a good choice for that remarkable opportunity. I can't believe the news of his death didn't make it over here, I would have though this would have been major news ... but probably drowned out my some star gossip nonsense. Shared, pinned, tweeted, up and awesome. Thanks drbj for reading and appreciating the hub. What a great tribute, Jain, to a great man, Neil Armstrong. Fame never changed him. Thank you Sueswan for reading and commenting. Thank you Eddy for reading it. 6 years ago from Wales. A wonderful tribute and I now look forward to so many more by you. A great tribute to Neil Armstrong. "When he was informed that Indira Gandhi had kept awake till 4.30 A.M., he apologized for the inconvenient time of landing. What a greatness." A hero and a caring human being. Thank you Ruby for reading the Hub and enjoying it. Thank you breakfastpop for your comment. I do not think that Neil Armstrong was just an American hero, but a hero of the world. You did an amazing job paying tribute to this American hero. Great tribute to Neil Armstrong. I enjoyed reading the history and seeing the pictures..Thank you.. Thank you unknown spy for reading and commenting. I wish your dream comes true. Thank you teaches12345 for your tribute to Neil Armstrong. Thank you joanveronica, for reading and commenting. Ever since I saw the Apollo movie and known about Neil Armstrong, the dream of becoming an astronaut was born into my mind. nice hub. We have much to thank Armstrong for in this country. He was a real pioneer and hero. There is a museum near my old hometown with his name on it (his childhood home) and I am sure many will stop in to revisit it once again. Great tribute. Thank you susiebrown48 from reading and commenting. Thanks Steve Lensman, for reading and commenting. Nice tribute to a great guy. He never sought fame or adulation although it came to him. This Hub is a resource for information on the Great American. Hi, this is a great tribute! Voted up and interesting. The photos are wonderful! ImKarn23, thanks for reading and commenting. Actually most of the people had forgotten this real hero, only his death is the reason he became again in limelight. That is a sad thing. great photos! I had forgotten how wholesome and handsome he was! He was a hero in the truest sense of the word! His memory will leave footprints in history - and in hearts - always! Loved the information-laden hub and the pictures were just amazing. Thank you. Thank you Gail (Happyboomernurse ) for reading the hub and sharing your views. Thanks Joan, for the comment. Thanks Bill for the comment. He really was a brave man, one of the bravest men we know. Great tribute. Voted Up and Awesome. Neil Armstrong was a hero of mine in my youth, he will never be forgotten. Beautiful tribute to Neil Armstrong. I was a teenager when he took his moon steps and remember him saying those words which were broadcast on American radios and TV's. Interesting to hear how closely that mission was also followed in India, but it was as he said, "one giant leap for mankind," regardless of nationality . Thanks for sharing this hub and the photos. Voted up, useful, awesome, beautiful and interesting. He is a true hero for our times and for everyone, regardless of their nationality. Really a remarkable man. What is it about some people who have this inner drive to step into danger and find out answers? Who sacrifice so much and risk their lives to see the unknown? This guy was a pioneer and infinitely more brave than I.